What Google Drive Triggers and Actions Are Supported? New File in Folder - Triggers when a new file is added directly to a specific folder (but not its subfolders). Updated File - Triggers when a file is updated in a specific folder (but not its subfolders). New File - Triggers when any new file is added (inside of any folder). Create File from Text - Create a new file from plain text. Copy File - Create a copy of the specified file. Share File - Share an existing file. Upload File - Copies an existing file from another service to Google Drive. Move File - Move a file from one folder to another. Create Folder - Create a new, empty folder. Replace File - Upload a file to Drive, that replaces an existing file. Find a File - Search for a specific file by name. Find a Folder - Search for a specific folder by name. To get started with Google Drive, first click to add a Google Drive account in your zap. Next, you'll name this Google Drive account. Note: This name is only for identifying the account inside Zapier, it will not automatically try to add a specific Google Drive account. 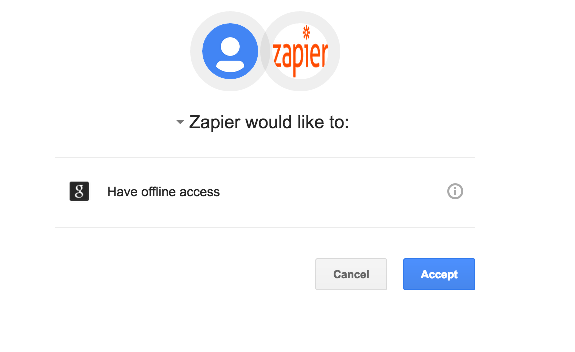 You should then get a pop-up window from Google Drive asking you to log-in to authorize the connection between that Google Drive account and Zapier. If you are already logged in the pop up will show right away. After logging in, you'll get sent back to your Zap where you now have your Google Drive account connected! Likely you aren't selecting a file field from the trigger service. On Set Up Template, you must make sure to select a file field for the file if you want anything other than a text file to be created. In the absence of a file, Zapier creates a text file with the contents of the file being the field you put under the Template. The correct way to do this is select a file field which are seen in grey as demonstrated below. If you are putting multiple files in an action for the file field, Zapier zips the files into one file. If you select the zipped file in Google Drive, all of the contents will be found there. Zipped files help us handle larger file sizes since they can be compressed. Zapier triggers only on new items, not existing items. Your existing files won't be able to be exported using Zapier. For more information on this check out import/export. If you see this error, you likely had a Zap trigger without a "real file". 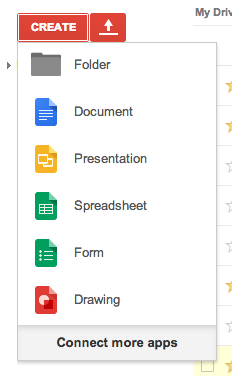 Google Drive differentiates between what is actually a file and what isn't. Any Google Docs items will trigger, but aren't considered "real files" by Google Drive (docs, spreadsheets, presentations, etc). The below items aren't "real files" and will cause this error. These are considered "real files" and will trigger your Zap correctly. If a file was created within the folder, it'll trigger the zap. Also, you cannot trigger or act upon a folder shared with you, so files added to folders you don't own will not trigger the zap. The connected account must be the owner. Note: This will only work for files that you UPLOAD to Google Drive. It will not work for documents, presentations, etc. created inside Google Drive. If you want to create a direct link to those, first download them to your computer then upload that file back on to Google Drive for this workaround to work.